Ancient Sino-Bruneian trade routes have been revived, marking 25 years in diplomatic relations. Egyptian President al-Sisi and Chinese President Xi deliver a joint statement at the Presidential Palace in Cairo on January 21st, 2016. President Xi’s historic visit to Zimbabwe marks a breakthrough in the strengthening of ties. Exemplo de democracia e governação na região em que se insere, Cabo Verde procura parceiros privados que o ajudem a constituir-se como um centro internacional de prestação de serviços. Por ar, terra e mar. The UCITS, an EU-based mutual fund, is one of the secret ingredients to growth in the EU's fund industry, and Luxembourg leads the way. Luxembourg is embarking on a more sustainable vision of finance, as demonstrated by the launch of the world's first green securities exchange. Cargolux, Europe's largest air cargo carrier, has invested in a new fleet of aircraft that will reduce carbon and noise emissions. 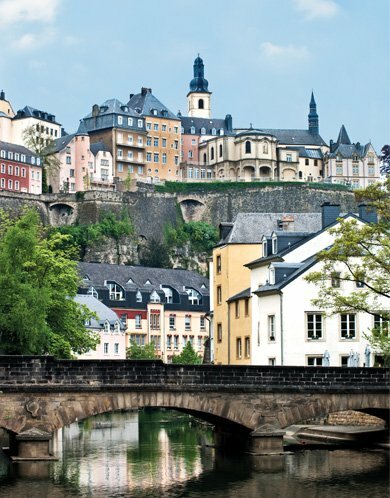 Brexit has already spurred several US financial institutions to relocate to Luxembourg. It's a migration the Grand Duchy has long prepared for. The Luxembourg Institute of Science and Technology is upgrading lunar rovers in search of minerals and water. Luxembourg's top construction firm, Félix Giorgetti, says need for affordable housing in the Grand Duchy is immediate. Docler Holding believes that Luxembourg could enable Europe's top live-streaming service to come to life. President & CEO Cargolux Airlines International S.A.